Getting locked out of your home can be a major nuisance and can throw your entire schedule in disarray. 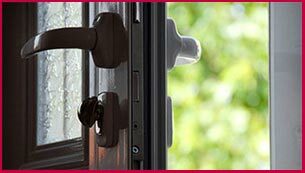 If you’ve been locked out of your property anywhere in Jacksonville, FL, then Jacksonville Central Locksmith’s technicians can resolve yourresidential lock out in a short span of time. We are a professional locksmith service that has been active in the local region for close to a decade. We have years of experience with handling lockouts – you can rely on our experts to handle yours effectively, with minimum hassle. We provide a doorstep service, if there’s a residential lock out, for home owners in Jacksonville and beyond. You don’t have to wait for hours on end for us to arrive, either, no matter the time of the day or night. As soon as you contact us, we can send a team to your location. It takes us less than 30 minutes, in most cases, to arrive. As soon as we get there, we’ll get have you back inside your property in a matter of minutes. We don’t damage your old locks or property, and we work with state-of-the-art tools. For help with aresidential lock out , contact us now on 904-531-3122 !